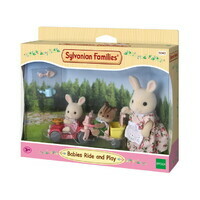 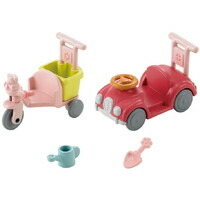 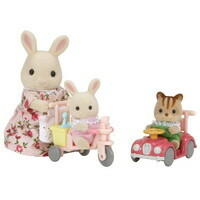 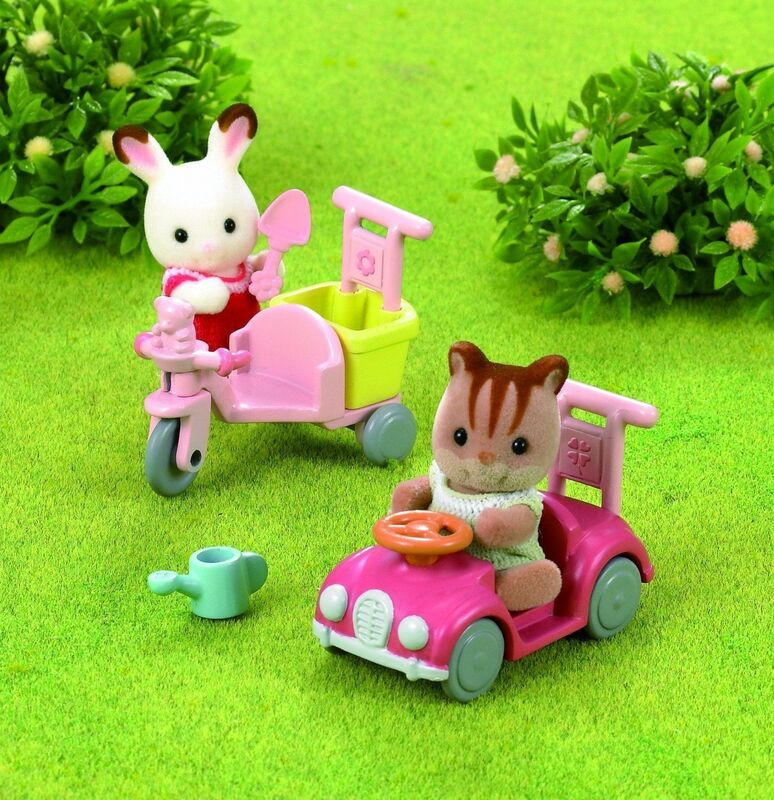 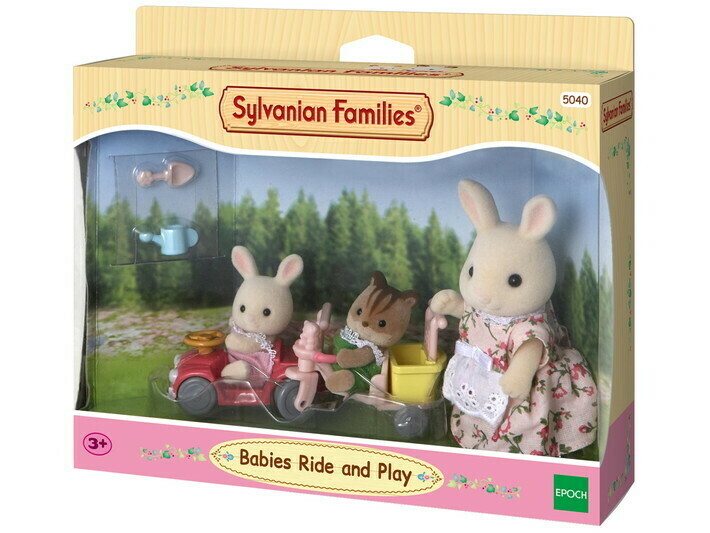 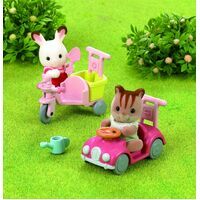 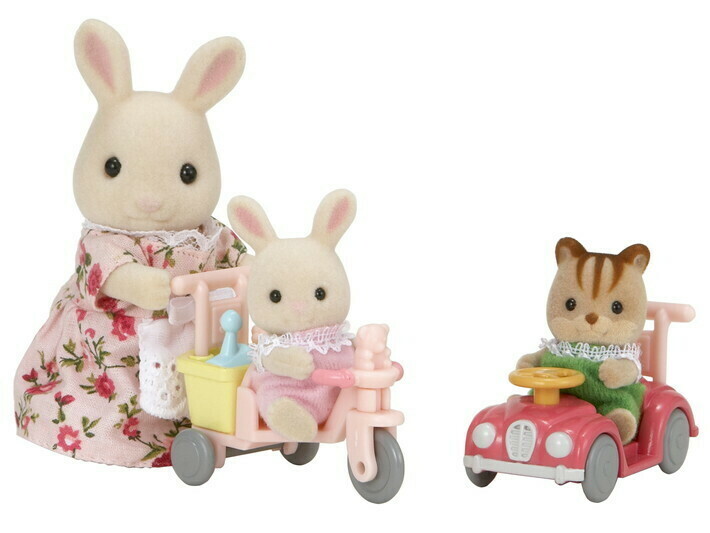 Henry the Milk Rabbit Baby and Ambrose the Walnut Squirrel Baby love to ride along on their tricycles and ride-on toys through the beautiful Sylvanian Village, waving to all the friendly residents as they scoot on by! 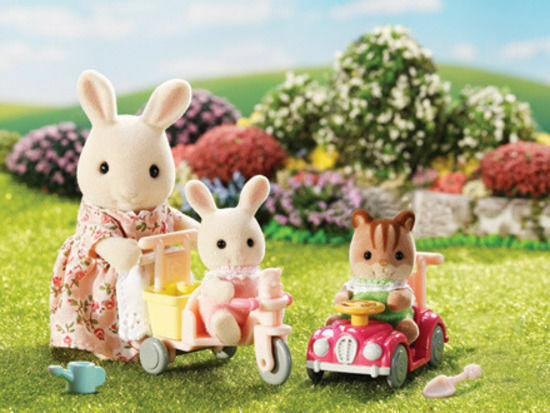 Henry's mother, the ever caring Kate the Milk Rabbit Mother is included in the set to supervise the little ones in their play time. 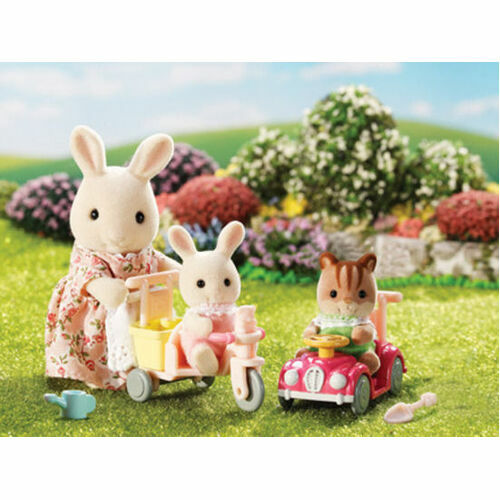 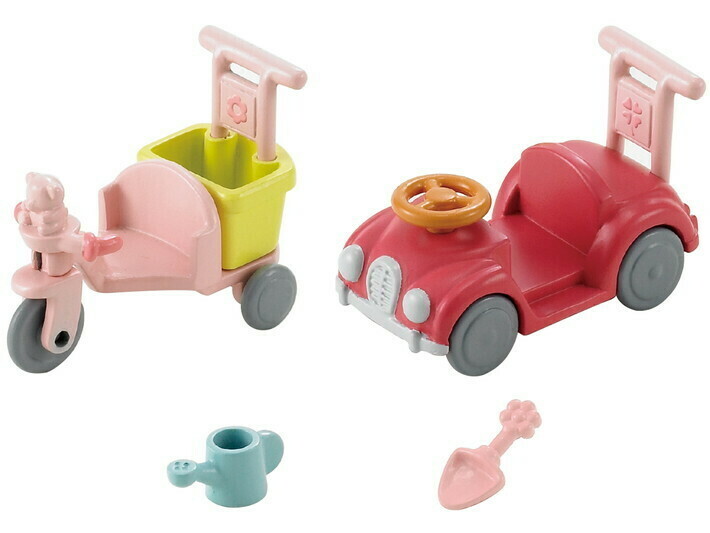 To ensure even more fun and activities in the garden or the idyllic Sylvanian woodlands, the set also includes a spade and a watering can which can both be stored in the handy storage basket at the back of the tricycle.